1945 brought peace of a kind to Europe but not Asia. The American leftist journalist and writer Harold Isaacs (1910–86), who had stayed in China during the 1930s, witnessing the brutality of the Japanese as well as the Chinese Kuomintang armies, toured the East Asian region after Japan’s surrender and subsequently published a book, which he called No Peace for Asia. 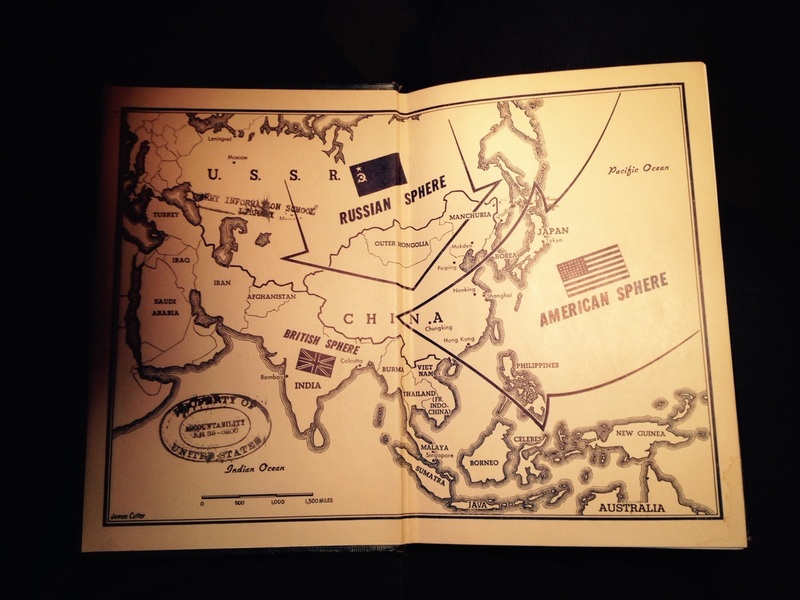 ‘There is no peace in Asia,’ he proclaimed on the cover: ‘Instead there is civil war in China, nationalist war in Indo-China and Indonesia, rioting and mutiny in India, political collisions in Korea and the Philippines, hunger and chaos everywhere.’ Inside the cover was a map of rivalry between the American, Russian and British spheres. When the Japanese emperor announced his decision to surrender on 15 August, Isaacs was in Korea. He watched how the Koreans first rejoiced at the prospect of getting back their country after thirty-five years of Japanese colonial rule but then found themselves divided into a Soviet and American occupation zone. Isaacs did not like the way that either the Russians or the Americans treated the locals. Isaacs went to Indochina in November, arriving first in Saigon. He abhorred the British and French supression of the young revolution. Indochina had been divided into a British occupation zone south of the 16th parallel and a Chinese zone north of that line. The British had crushed the revolution in the south but the DRV had survived in the north. Isaacs traveled to Hanoi, where he let himself be charmed by a bearded man whom he had known long before. In that same November, as a tactical move to dissuade the Chinese Kuomintang occupants from toppling his revolutionary government and allowing France to retake the rest of its former colony, Ho arranged for the formal dissolution of the Indochinese Communist Party. At first it did not seem to help. 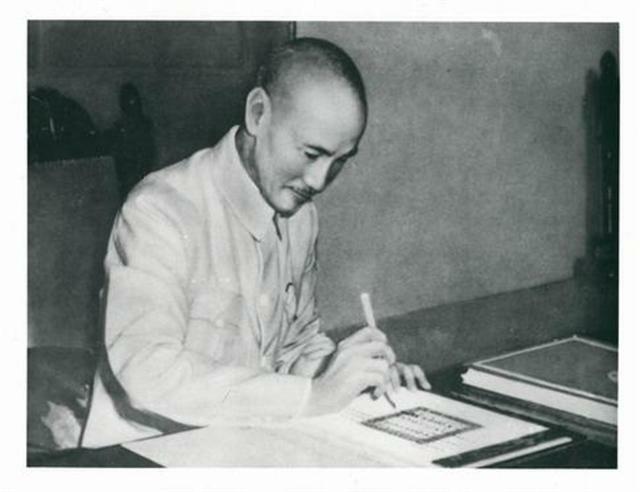 In February 1946, Chiang Kai-shek signed a deal that would return northern Indochina to France, but when French warships sailed into the port city Haiphong and wanted to land thousands of troops, China made its consent to the landing conditional on the signing of a deal with Ho Chi Minh. 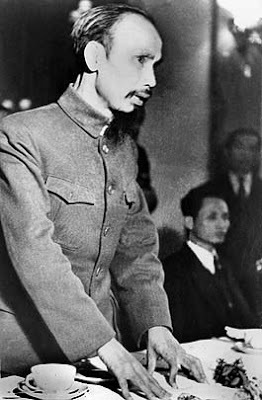 The Franco-Vietnamese 6 March agreement recognized Vietnam as a ‘free state’ and promised that a referendum would decide if the French-controlled south would be part of Vietnam. 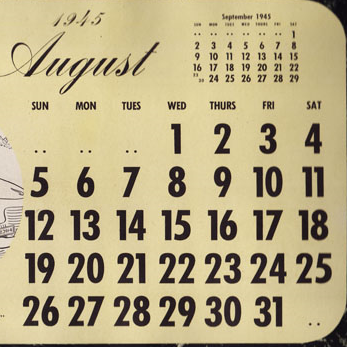 Ho was invited to France as a statesman in the summer of 1946. A Franco-Vietnamese conference at Fontainebleau south of Paris, however, ended inconclusively. In October-November, once the Chinese occupation troops had been repatriated, Franco-Vietnamese relations went into a serious crisis that led to the outbreak of full-scale war on 19 December 1946. By 1949–50, the Indochinese Communist Party reconstituted itself as the Vietnam Workers Party (Lao Dong), and China’s border provinces were integrated in the new People’s Republic of China. Thus the war in Indochina, just as in Korea, became a ‘hot war’ in the global Cold War. The Chinese People’s Liberation Army trained Vietnam’s National Liberation Army so it could win great victories against France at Cao Bang in 1950 and Dien Bien Phu in 1954. The war ended temporarily with the Geneva accords of July 1954, which recognized the national independence of Laos, Cambodia and Vietnam but divided Vietnam temporarily at the 17th parallel in two hostile states. 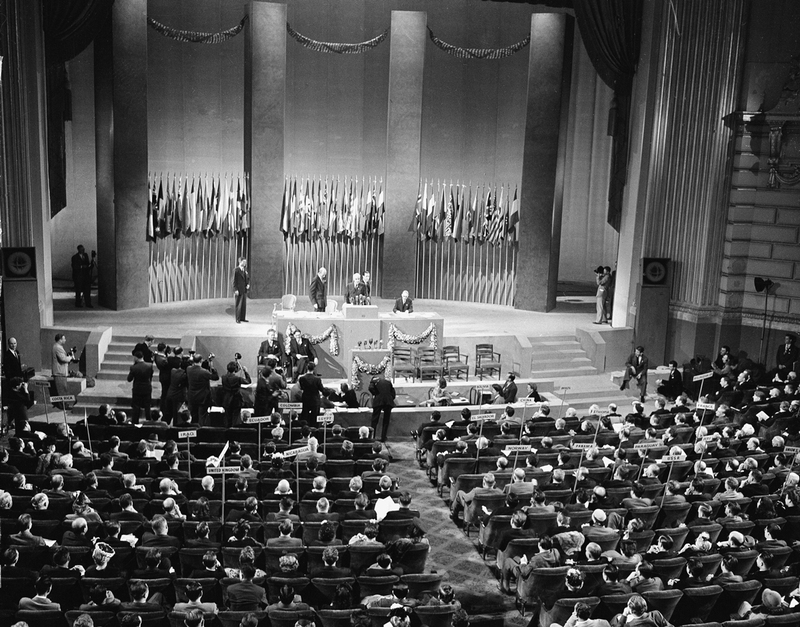 It was agreed at Geneva that national elections would be held before July 1956 so Vietnam could be reunified. Just like the 1946 referendum, the elections were never held. Hence Hanoi’s communist leaders decided to sustain an insurgency in the south, which eventually provoked US intervention. In statistics of war and peace the Vietnam War 1959–75 stands out as the world’s worst post-1945 tragedy in terms of the number of people killed. Estimates vary but may be put conservatively at 1.6 million, not counting all those who died of wounds or illnesses caused by the war. Harold Isaacs’ son Arnold, also a journalist, reported on the end of the Vietnam War from Saigon for The Baltimore Sun. He shared his father’s disdain for all the warring parties and published Without Honour: Defeat in Vietnam and Cambodia, a book about South Vietnam’s demise and how the USA deceived its friends. The Paris Peace agreement of 1973 had not of course spelled the end of the war. Nor did the fall of Saigon on 30 April 1975 or the proclamation of the unified Socialist Republic of Vietnam in the following year create the lasting peace that people had been waiting – and fighting – for. An exodus of boat people ensued. In Cambodia, genocide. Fighting took place on the Cambodian–Vietnamese border and, in 1978–79, Vietnam invaded ‘Democratic Kampuchea,’ removed Pol Pot’s genocidal regime and kept troops in Cambodia for the next ten years. Communist China, a supporter of Kampuchea, responded with a five-week invasion of communist Vietnam in February–March 1979, which cost tens of thousands of lives on either side. The unfolding of the Chinese Civil War 1945–50, the Indonesian war against the Netherlands 1945–49, the Korean War 1950–53, the First Indochina War 1945–54, the Second Indochina War (Vietnam War) 1959–75, the Third Indochina War 1978–91, and the many other civil wars of the period in Malaysia, the Philippines, Burma/Myanmar, and India – and also the many massacres and man-made human catastrophes that occurred – fulfilled Isaacs’ sinister prophecy: No peace for Asia. Then the tables turned. Between 1946 and 1979, more than eighty per cent of the people killed in war worldwide were killed in East Asia. In the 1980s, although fighting went on in Cambodia and at the Sino-Vietnamese border, East Asia stood for only eight per cent of fatalities in armed conflict worldwide. And then, after Vietnam withdrew from Cambodia in 1989, normalized its relations with China in 1991 and the USA in 1995, and joined the Association of Southeast Asian Nations (ASEAN) that same year, East Asia became astoundingly peaceful. Since the 1990s only 3.5 per cent of the people killed in armed conflict globally have been killed in East Asia. 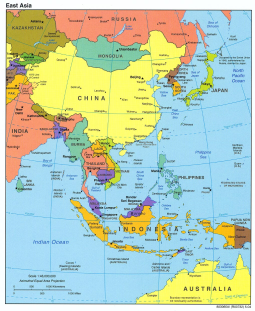 Only three East Asian countries still have ongoing internal armed conflicts (The Philippines, Thailand and Myanmar) and their governments are trying to reach and uphold agreements with the rebels. If one of Harold Isaacs grandchildren should tour East Asia today, she could write a book called Peace for Asia. Yet she could not, alas, trust that it will last.